This one-hour advisor webcast is recommended for technical users, functional users, system administrators who are using Oracle Business Intelligence. The webcast covers authentication, authorization, setup and configuration for Oracle Business Intelligence. This one-hour advisor webcast is recommended for technical users, functional users, system administrators, Database Administrators, etc. who want to load and transform On-Premise/Cloud Data to analyze in an Oracle Database (On-premises, Oracle Database Cloud Service, ADW, Exadata Express), Oracle Essbase, or Oracle Analytics Cloud data sets. This one-hour advisor webcast is recommended for System Administrators and PBCS Implementation Consultants who administer and/or implement PBCS for Oracle customers. This session focuses on IT Operations performed by Oracle and how customers can help Oracle Support with performance issues in PBCS applications. 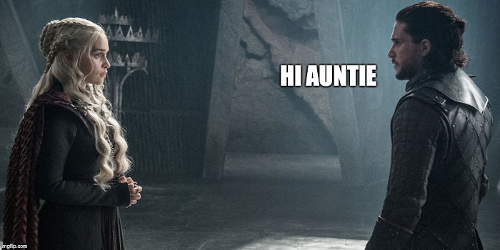 Hi, Game of Thrones aficionados, welcome to GoT Series 8 and my tweet analysis! If you missed any of the prior season episodes, here are I, II and III. Finally, after almost two years, we have a new series and something interesting to write about! If you didn't watch Episode 1, do it before reading this post as it might contain spoilers! If you followed the previous season blog posts you may remember that I was using Kafka Connect to source data from Twitter, doing some transformations with KSQL and then landing the data in BigQuery using Connect again. On top of it, I was using Tableau to analyze the data. The above infrastructure was working fine and I have been able to provide insights like the sentiment per character and the "game of couples" analysing how a second character mentioned in the same tweet could change the overall sentiment. The sentiment scoring was however done at visualization time, with the data extracted from BigQuery into Tableau at tweet level, scored with an external call to R, then aggregated and finally rendered. The dashboard indeed was slow to render and the related memory consumption huge (think about data volumes being moved around). Furthermore, Sentiment Scores were living only inside Tableau: if any other people/application/visualization tool wanted to use them, they had to recalculate from scratch. The answer is simple, I need to do it as close to the source as possible: in Apache Kafka! There are a gazillion different ways to implement Sentiment Scoring in Kafka, so I chose a simple method based on Python and Google's Natural Language API. Google's NL APIs is a simple interface over a pre-trained Machine Learning model for language Analysis and as part of the service it provides sentiment scoring. Magnitude indicates the power of such emotion, and is often proportional with the content length. Please note that Google's Natural Language API is priced per document so the more content you send for scoring, the bigger your bill will be! Once we fixed how to do Sentiment Scoring, it's time to analyze how we can extract a tweet from Kafka in Python. Unfortunately, there is no Kafka Streams implementation in Python at the moment, so I created an Avro Consumer/Producer based on Confluent Python Client for Apache Kafka. I used the jcustenborder/kafka-connect-twitter Connect, so it's always handy to have the Schema definition around when prototyping. then instantiating the AvroConsumer passing the list of brokers, group.id useful, as we'll see later, to add multiple consumers to the same topic, and the location of the schema registry service in schema.registry.url. Then we define the Avro Key and Value Schemas, in my case I used the tweet Id as key and included the text in the value together with the sentiment score and magnitude. And finally produce the event defining as well the topic that will contain it, in my case got_avro_sentiment. One thing I started noticing immediately, however, is that especially on tweeting peaks, the scoring routine couldn't cope with the pace of the incoming tweets: a single python Consumer/Producer was not enough. No problem! With Kafka, you can add multiple consumers to the same topic, right? Of course Yes! But you need to be careful. You could create multiple consumers on different Consumer Groups (defined by the group.id parameter mentioned above), but by doing this you're telling Kafka that those consumers are completely independent, thus Kafka will send each one a copy of every message. In our case, we'll simply end up scoring N times the same message, one for each consumer. If, on the other hand, you create multiple consumers with the same consumer group, Kafka will treat them as unique consuming process and will try to share the load amongst them. However, it will do so only if the source topic is partitioned and will exclusively associate each consumer to one (or more) topic partitions! To read more about this check the Confluent documentation. The second option is what we're looking for, having multiple threads reading from the same topic and splitting the tweet workload, but how do we split an existing topic into partitions? Here is where KSQL is handy! If you don't know about KSQL, read this post! Choose the number of partitions carefully, the more partitions for the same topic, the more throughput but at the cost of extra complexity. Choose the <PARTITION_KEY> carefully: if you have 10 partitions but only 3 distinct Keys, then 7 partitions will not be used. If you have 10 distinct keys but 99% of the messages have just 1 key, you'll end up using almost always the same partition. Yeah! We can now create one consumer per partition within the same Consumer Group! The native GOT_AVRO Stream coming from Kafka Connect, which we divided into 6 partitions using the tweet id as Key and named GOT_AVRO_PARTITIONED. A GOT_AVRO_SENTIMENT Stream that we created using Python and Google's Natural Language API, with id as Key. Please note that I left a two minute window to take into account some delay in the scoring process. And as you would expect I get............ 0 results! Reading the documentation better gave me the answer: Input data must be co-partitioned in order to ensure that records having the same key on both sides of the join are delivered to the same stream task. Since the GOT_AVRO_PARTITIONED stream had 6 partitions and GOT_AVRO_SENTIMENT only one, the join wasn't working. 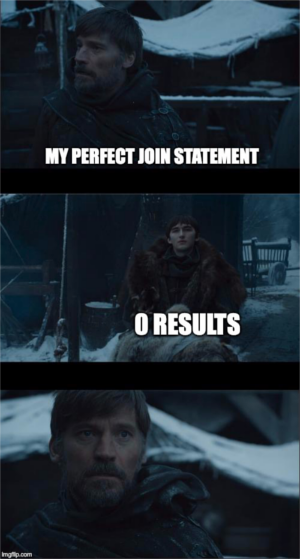 So let's create a 6-partitioned version of GOT_AVRO_SENTIMENT. Now the join actually works! Next topics are: pushdown to Google's BigQuery and visualization using Google's Data Studio! But this, sadly, will be for another post! See you soon, and enjoy Game of Thrones! To install the Oracle BI Bundle Patch 12.2.1.4.190416 patch, Oracle BI 12.2.1.4.0 must be installed in the Oracle BI Home directory. Subsequent Oracle BI patches can be installed on Oracle BI 12.2.1.4.0 or any Oracle BI bundle patch with a lower fifth numeral version than the one being installed. For example, you can install 12.2.1.4.190416 on 12.2.1.4.0. In the MOS | Patches & Updates screen for OBIEE Patch 28952857, click the "Start a Discussion" and submit your review.